We offer premium web hosting exclusively to AAHB Web Solution clients. If you choose to host your website with us you don't have to worry about dealing with the large hosting companies as we do all the setup for you. Our hosting is set up specifically to run Drupal websites. Our hosting servers are based in Melbourne, Australia so your data is protected under Australian privacy laws. 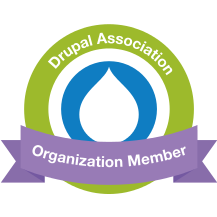 Drupal security patches applied to ensure your website stays secure from hackers. Dedicated IP address. We require all accounts with email to have a dedicated IP address. This is to ensure that if your email account is hacked it does not affect any other accounts on the server and vice-versa. For clients who require more than the Standard Drupal Web Hosting Package a tailor made hosting package will be quoted as part of the project.